Yikes... They were not looking so hot... they also used to have glass but 4 kids and a couple skateboard incidents later the glass was just a memory. 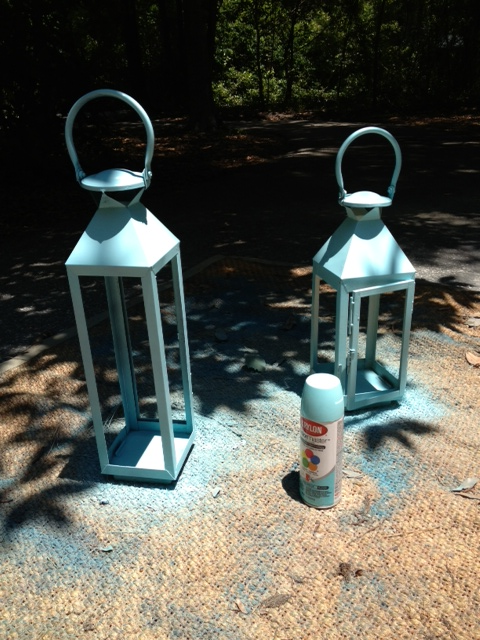 I cleaned them and then spray painted them with Krylon in blue ocean breeze. 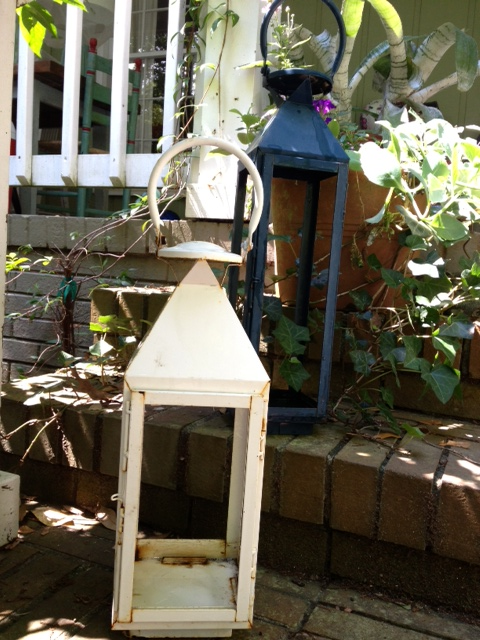 Spray paint has come a long way and if you know what you are doing you can get a great finish. I then added some small pots with begonias to finish the look. 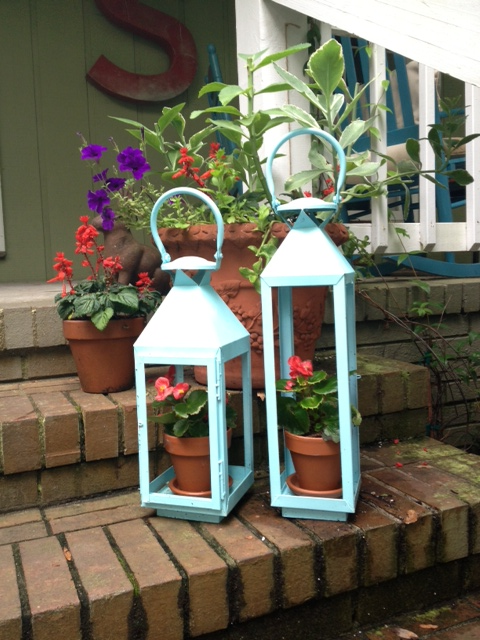 Begonias are ok with shade which is why they will work in my new lantern planters! 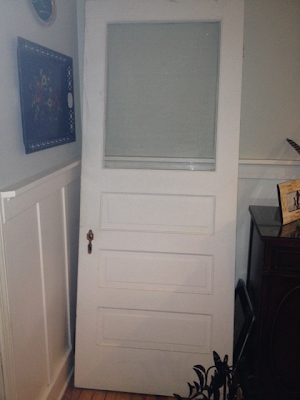 And in other news... look what I just scored on CL for $20! Frosting is a great way to go to get light but still have privacy. I've used it on three different french doors. Two for bathrooms and one for our master bedroom. It has worked fantastic for me. Give it a try. Enjoy your blog.